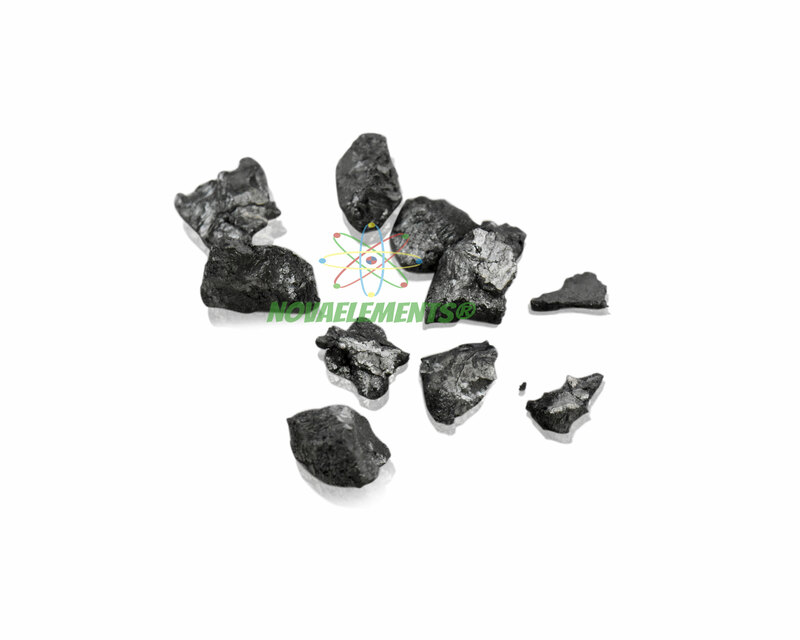 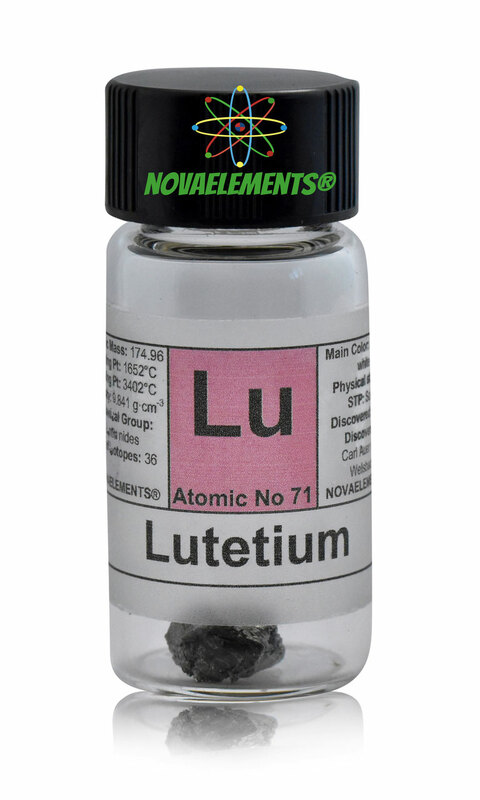 Lutetium is the last of the lanthanoids, the hardest of them, the one with the smallest atomic diameter, the rarest stable after thulium and the one which is most difficult to extract. 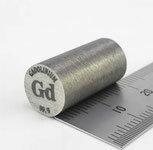 Therefore it is rather expensive and is scarcely used. 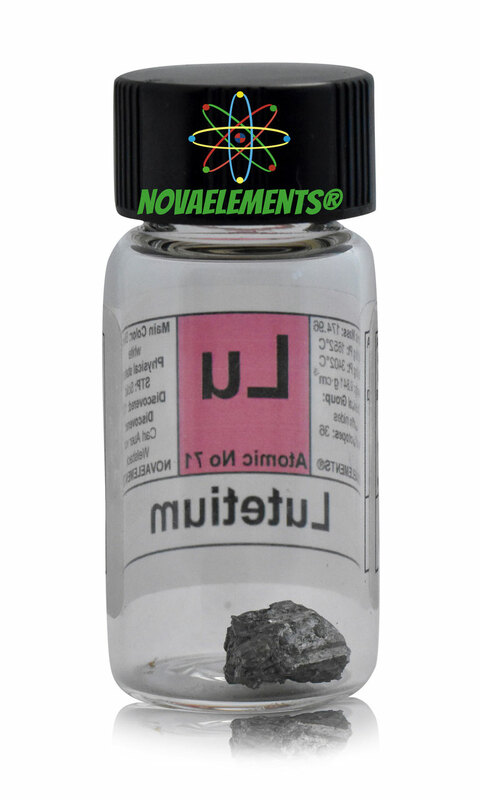 The natural occuring, radioactive 176Lu, which has a half-life of 38 billion years, is used to determine the age of meteorites. 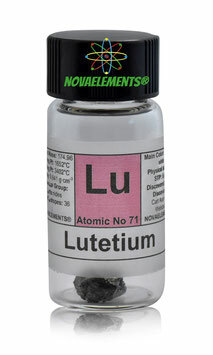 High purity Lutetium metal piece 0.5 grams of the element 71 sample in labeled glass vial.